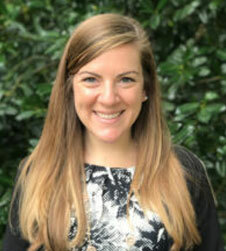 Dr. Stephanie Robins has recently received her Doctorate in Clinical Psychology from the Institute for the Psychological Sciences in Arlington, VA and is currently working towards licensure as a Clinical Psychologist. She has been conducting therapy and assessments for several years and has had wide-ranging experience working with adults, young adults, teens, and children (ages 6-70). She utilizes Cognitive Behavioral therapy (CBT), Dialectical Behavioral Therapy (DBT), Acceptance and Commitment Therapy (ACT), play therapy, and interpersonal psychotherapy in her work with anxiety, depression, trauma/PTSD, relationship difficulties, life transitions, and has a particular specialty with pregnant and postpartum women. She has experience conducting therapeutic groups that address skill building and emotional regulation. Dr. Robins believes in working collaboratively with the client, utilizing the strengths they already possess while addressing ways they can heal and improve. She believes in looking at the whole person and identifies that social and community support, health challenges, and work difficulties all come into play when addressing mental health concerns. Her work is supportive, client-centered, and solution focused. Dr. Robins also conducts psychological and testing and evaluations for children, teens, young adults, and adults to address concerns such as learning difficulties, ADHD, Autism, and Psychological Diagnostics.